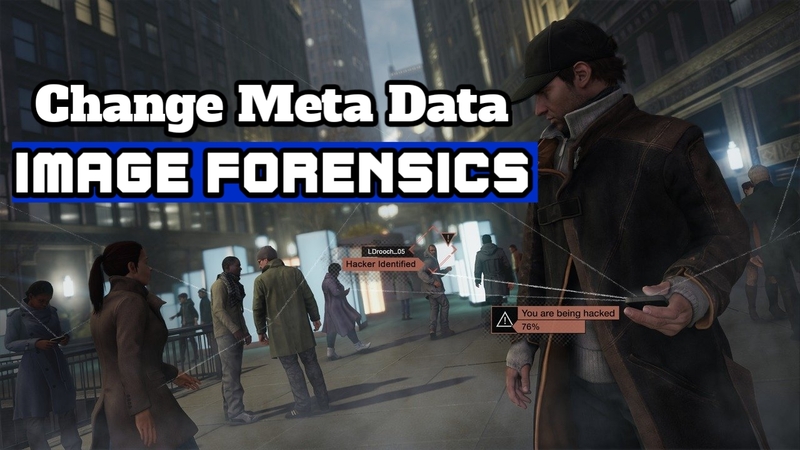 Hey welcome back to another Tutorial of Digital Forensic. In the last article you learned about the image forensics, In which you have learned how to get maximum information from a Images. So today you will know in this article that How can change an Expert Hacker or Criminal of the image information So that he could hide his evidence. The information of an image is called Meta Data. Normally You can not get Meta Data in Image's Property. You need to use some special software to get Meta Data of Images. Digital Forensics Experts collect Evidence using these Software. Today you will learn these Digital Forensics Technique to collect Evidence. So read this article carefully to process. Step#1. First of all you need a special tool for that you can download it from here. 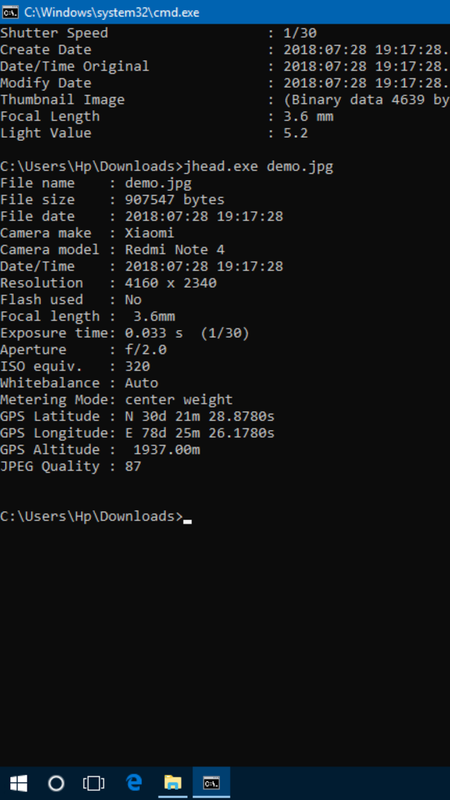 If you did not read the last article of the Image Forensics, then I recommend to first read that article for better understand that how to use Commands. Step#2. Now open Command Prompt in your computer then type Command to use jhead tool, CD (Space) jhead.exe (space) imagedemo.jpg (Image File Name With Extension like, jpg,png, jpeg). Step#3. After that you will get Meta Data of Image then Note Date and time for change that. 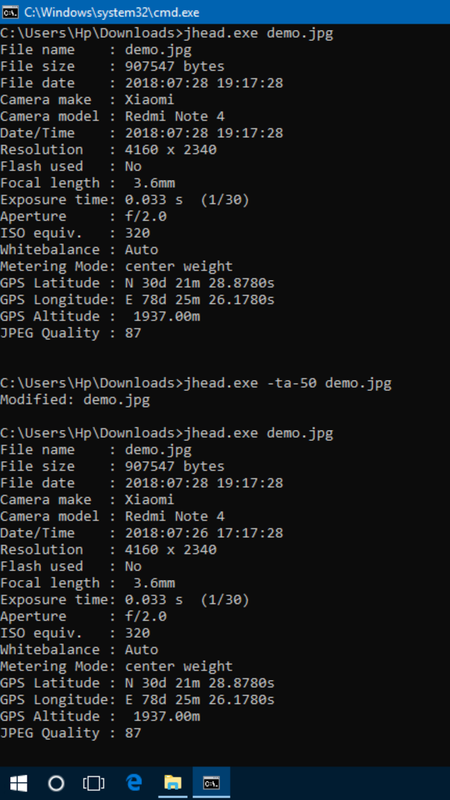 Then type new Command, jhead.exe -ta-50 imagedemo.jpg then hit enter ( here -ta CMD for change Date information and -50 in Hours to less, you can change it as you want ). Now your input will modify, then again you can check Meta Data. If you want to change other information then type CMD "jhead.exe -h" to know all CMD of this tool. Then you can change every information of Metadata. Conclusion- so guy with using these tool an expert hacker or criminal can hide thier important evidence. If you interested in Digital Forensics then you should know these techniques.